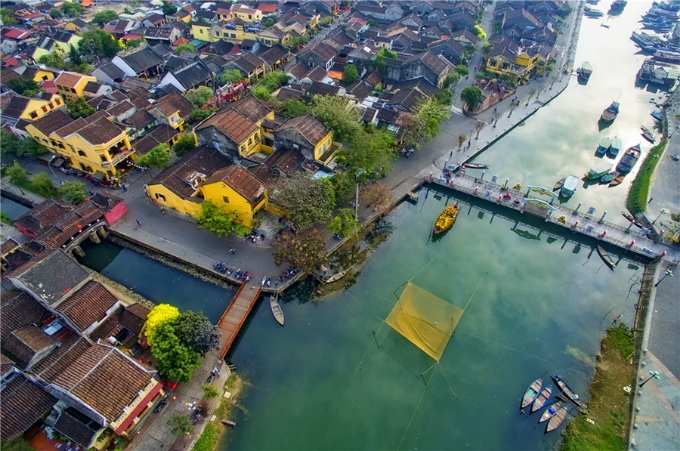 An aerial tour that brings you to some iconic places around Vietnam - from photo contest 'Vietnam from above'. 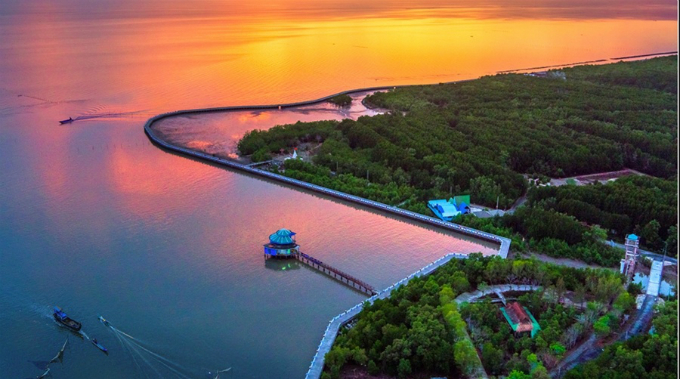 Located in the east of Cat Ba Island, the 7,000-hectare wide bay features around 400 islands of all shapes. 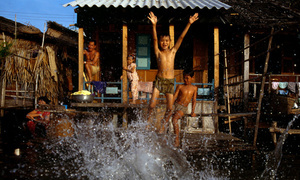 From the center of Cat Ba Island, go to Ben Beo, where you can buy tickets and hire a boat or a motorboat. 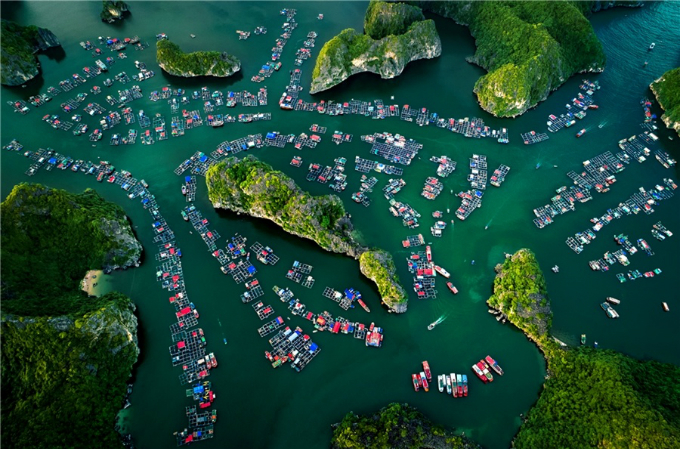 The floating village is packed with boats, which make up a spectacular view from above. 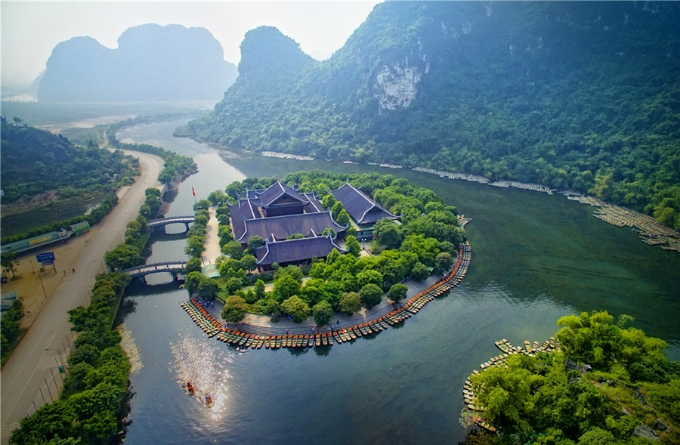 A UNESCO world heritage site since 2014, Trang An Ecological Tourist Site is famous for its stunning blue water, and rich fauna and flora. 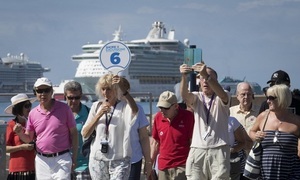 Tourists often take a boat to wander around. 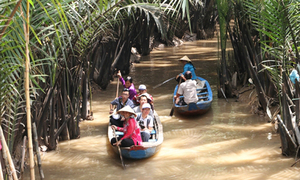 Each boat can contain up to four people with ticket price of VND150,000 ($6.6) per person. 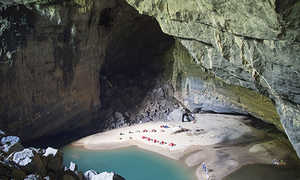 Looking for some fresh air, turquoise sea and interesting caves? 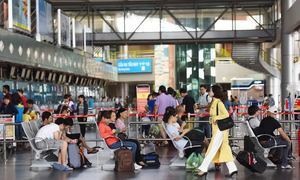 Welcome to Cat Ba Island. 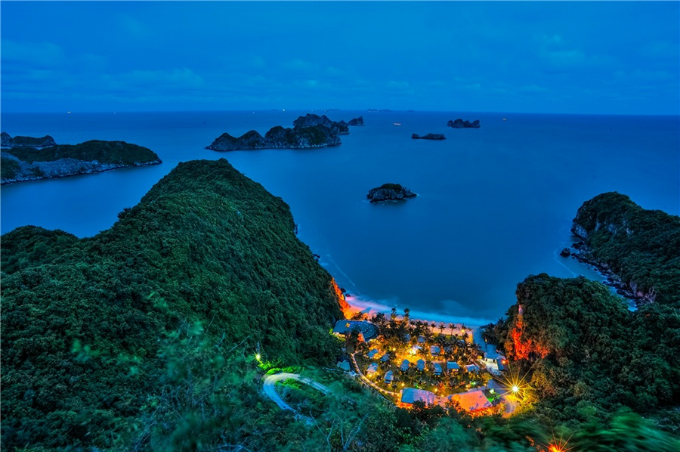 At night, a resort is the island's single source of light, covered by dark green canopy of a jungle. 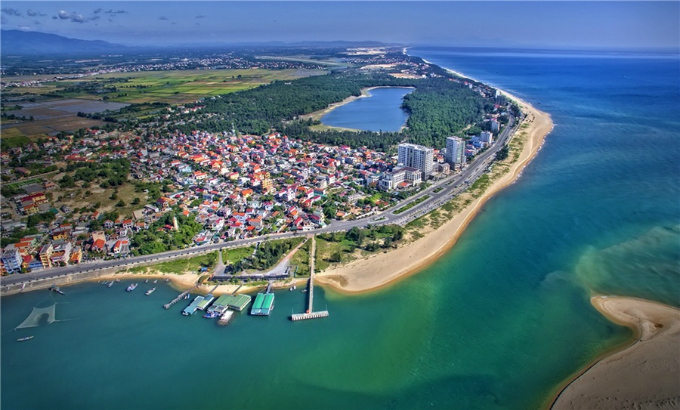 The long, sandy Nhat Le Beach lies in Dong Hoi City of the central province Quang Binh. Enjoy the sun and crystal clear water under the shade of a coconut tree. Hue's Complex of Monuments was listed as a UNESCO World Heritage Site in 1993. 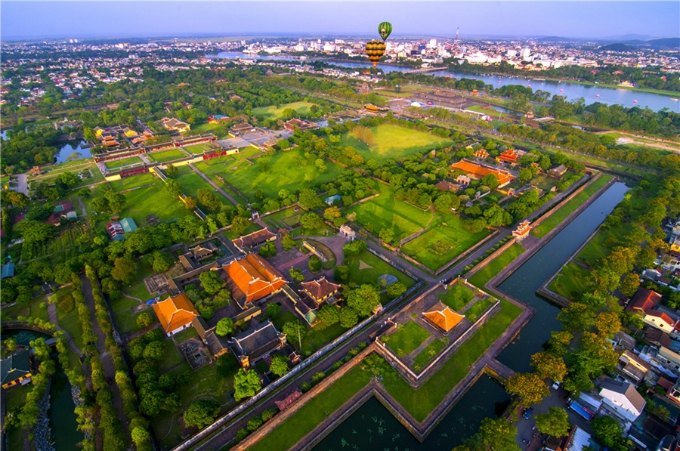 The complex includes many vestiges of the Nguyen Dynasty, such as the Imperial Citadel, High Noon Gate and many tombs, monuments and pagodas. 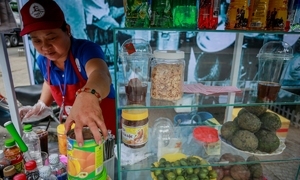 The ancient town in central Vietnam steals its visitors' hearts with a calm and genuine atmosphere that naturally flows through lines of rustic yellow houses standing humbly side by side, challenging a rapidly changing world. 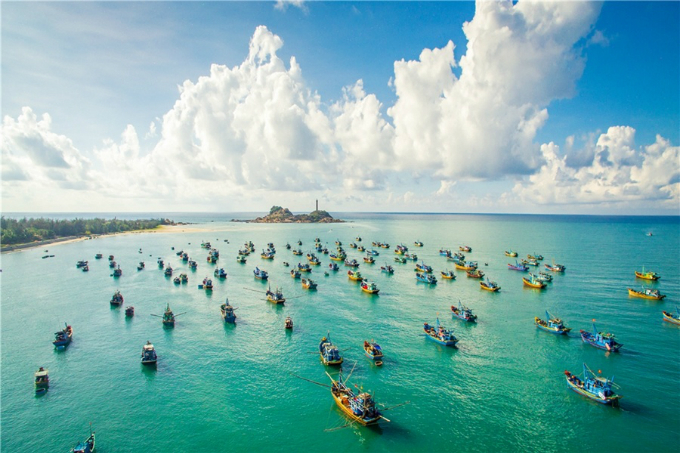 Located in Ham Thuan Nam District, Binh Thuan Province, Ke Ga Cape is not crowded, but peaceful, wild and idyllic. Tides have turned this place into an isolated island which is surrounded by blue sea. 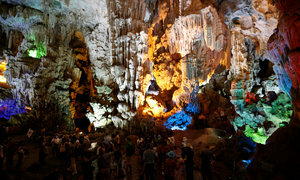 Tourists will be astonished by exploring the oldest and highest lighthouse of Vietnam and Southeast Asia here. 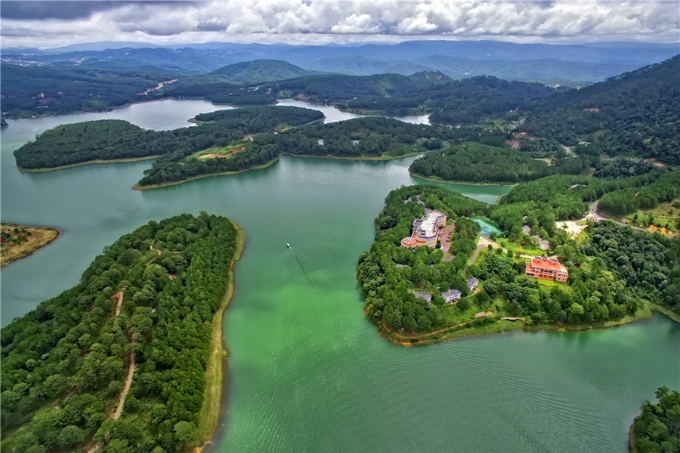 Tuyen Lam Lake is 6 kilometers (3.7 miles) away from downtown Da Lat, where tourists can enjoy a chain of exciting activities such as canoeing, mulberry picking or exploring the nearby forest. In January and February every year, the lake is covered in cherry blossoms. This is the southernmost point of the country which welcomes hundreds of visitors every week. Tourists now can ride to the cape instead of going by canoe like before. The natural scenery full of mangrove forests featuring a plethora of birds, wild animals and fishes give the cape a very distinctive beauty.